New statistics for the Birmingham and Shelby Co. real estate market show a drop in sales and prices, but there are some positive signs showing, too. According to the Birmingham Area Multiple Listing Service, Inc., sales in June, 2008 totaled 1,253; that’s 35% below the 1,929 sales recorded in June, 2007. For the first half of 2008, 6,702 sales were recorded. That’s 28% below the 9,317 total sales reported for the same period in 2007. The average price of a home in June, 2008, stood at $196,504, which is about 5.4% below the June, 2007, average price of $208,767. The numbers hold good news for sellers. 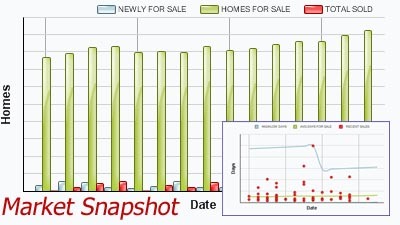 June, 2008 inventory stood at 12,580, which is 714 fewer listings than the 13,294 homes for sale during June, 2007. Here are some more numbers we consider encouraging. While the average price of homes for sale from January through June of 2008 ($194,000) did drop compared to the same period a year earlier, the drop is pretty slim: Only about 2%. In other real estate markets, the drops in average price have been quite a bit higher, so, once again, the swings in the Birmingham/Shelby Co. markets are not nearly as extreme. What about foreclosures in our area? Those dropped by 17% during June, 2008, compared to a year earlier, according to the MLS. Out of a list of 100 major U.S. cities surveyed for foreclosure activity, Birmingham rated 97th. Every business has up and down cycles, and real estate is certainly no different. While stories about ‘the dire real estate market’ continue to make the news, you might be wondering if you should forget trying to buy a home. We would suggest that just the opposite is true. Given very good interest rates that continue to be available and a large, diverse inventory to choose from, this is an excellent time to buy. 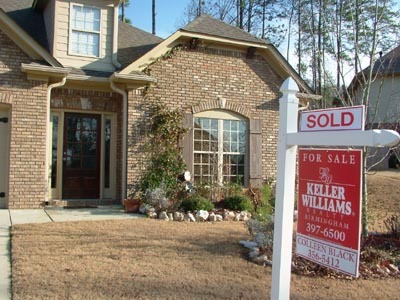 Tags: alabama, homes, inventory, Market update, Real Estate, sales, Shelby Co. While the Lost In Space robot was always trying to warn of impending danger that threatened the Robinson family, we’re downright excited to pass this next bit of information along, and fortunately, we see little or no risk to mankind (insert favorite one-liner here). Our excitement is due to David joining Colleen by becoming a Realtor with Keller Williams Realty. David became official in late June. He has worked alongside Colleen ever since she joined Keller Williams when it first opened in Birmingham in 2004. David has been involved in many of the behind-the-scenes activities that go along with providing real estate brokerage services, including marketing and helping coordinate closings. But now that he’s licensed, you can expect to see his name pop up a little more in the area in the months and years ahead. 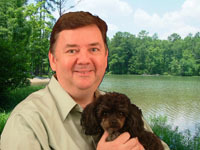 Of course, Fisbo, David and Colleen’s five pound spoiled-rotten poodle, will continue to play a prominent role, too! Your Own MLS For Birmingham & Shelby Co. Real Estate! Of all the powerful technology tools available to stay knowledgeable about real estate, few approach what the Multiple Listing Service, or MLS, has to offer. Realtors have relied on the MLS for years to help their clients make critical buying and selling decisions. So, how cool would it be if you could essentially have your own MLS available at your fingertips, any time you want it? That time is now, thanks to a new service we’re proud to offer on our website. Think of our new Market Snapshot feature as essentially your own MLS. By simply entering a few basic pieces of information, Market Snapshot will then search and report back to you on a wide variety of available data. It’s quick and easy to use. You don’t have to register, and you don’t have to pay a dime. Whether you’re a prospective buyer or seller, you’ll find the information very handy. …and much more. How to use it? Using the Market Snapshot grid on on our website’s main page, simply enter the key information you want and, usually within about 30 minutes, the data you’re looking for will be sent to you via e-mail. Pretty simple, huh! And, we believe, you’ll decide it’s pretty slick, too!